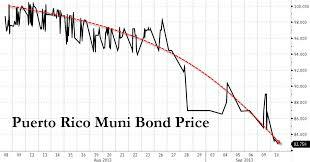 The muni press covers the situation in Puerto Rico thoroughly and the investors read the muni press - so what nuggets of insight (i.e. information advantage) escape the investor? The fact is that there are thousands of publishers today, no one has time to read them all - that means there may be hundreds of ideas and news bites that have value but escape notice. This story is one of those nuggets surfaced by Bitvore for our investment customers. While the Commonwealth's successful $3.5 billion bond sale has reinforced the bullish view, bears continue to predict default. The pessimistic case seems compelling: Puerto Rico's economy has been shrinking and its public sector debt has been growing for years. If these trends continue, default is inevitable: it's just a matter of when. But will these trends continue? One article that was surfaced on our platform last week leads us to wonder. The article makes the case that wealthy individuals trying to avoid US income taxation should consider relocating to Puerto Rico rather than renouncing their citizenship – a step being taken by thousands of wealthy Americans each year. Puerto Rico residents are exempt from federal income tax, but have to pay Puerto Rico income tax. In the wake of legislation passed in 2012, anyone relocating to Puerto Rico faces either zero or low single digit rates on certain types of income. The result is that a high income investor or consultant can move to Puerto Rico and radically reduce his or her tax bill without giving up US citizenship. If Puerto Rico's tax incentives attract enough new residents, the Commonwealth's economic contraction would be reversed, and its municipal bond payment capacity would increase. The inevitable default may no longer be inevitable. News and opinion that can impact municipal bond values isn't confined to the municipal bond press. The article mentioned here appeared on a wealth planning blog. You're also unlikely to stumble across content like this by just “Googling” Puerto Rico. Municipal bond relevant articles will be buried underneath an avalanche of irrelevant content. This is where Bitvore adds value. We help you find relevant insights that have yet to appear in widely read media. As the world of information grows increasingly vast, Bitvore can effectively hunt through the continuous noise to surface the important information you need.